Triceratops were three-horned herbivorous dinosaurs that roamed western North America in the late Cretaceous period (68-66 Mya). Combined with a shield-like head plate, the horns of the Triceratops were likely used to protect them from predators and may have also been used for mating rituals. 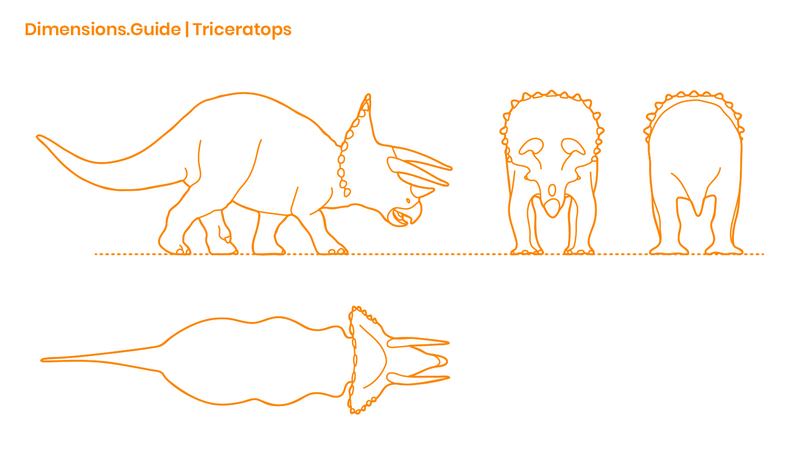 The Triceratops had a length between 26’-29.5’ | 7.9-9 m and stood 9.5’-10’ | 2.9-3 m tall.